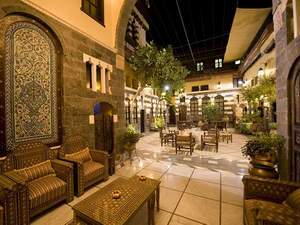 Beit Ramza Boutique Hotel luxury boutique hotel in Damascus, Syria is perfectly located in the heart of the old city of Damascus, Syria, closest to the Bab Touma Gate (one of the seven gates to the old city of Damascus, Syria). 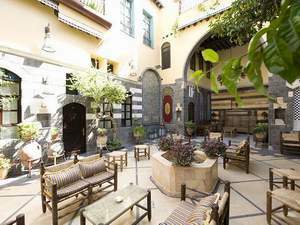 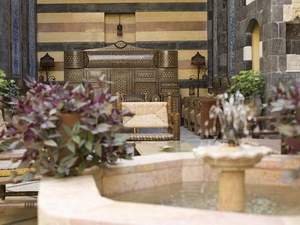 Each of Beit Ramza Boutique Hotel six luxurious rooms is immaculately decorated with authentic Syrian furnishings and fully equipped with modern facilities to provide the highest level of comfort to our guests. 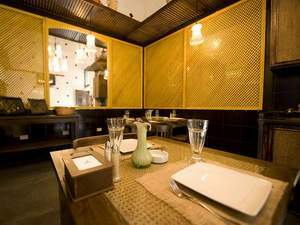 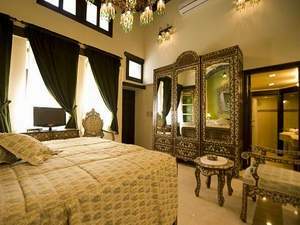 Beit Ramza Boutique Hotel has one single-bed room, one queen-bed room, and four double-bed (twin) rooms. 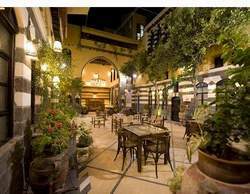 Beit Ramza Boutique Hotel double-bed rooms feature two separate single beds. 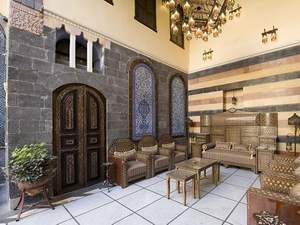 Each of Beit Ramza Boutique Hotel rooms is immaculately decorated with traditional Syrian furnishings and perfectly equipped with a modern bathroom and amenities for a comfortable stay.